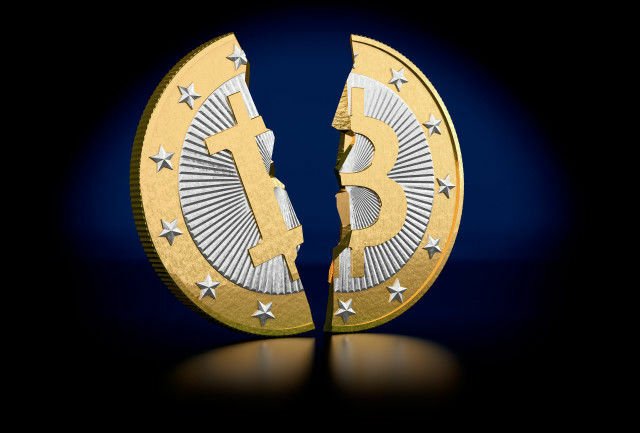 Bitcoin fell below $1,900 today, from around $2,600, as the fast approaching August 1st deadline nears, seemingly considerably increasing uncertainty among traders and investors. The currency has been experiencing a downtrend for much of June and July, falling from around $3,000 to just above $1,900 at the time of writing, with the downwards price movement seemingly accelerating in the past few days. The main reason is probably because the currency’s more than two years long debate is to reach a conclusion on August the 1st when bitcoiners decide which way they are to go and how. On the small blocks end, there is Bitcoin Core and UASF which aim to activate segwit, but their relationship to segwit2x is not clear, with some suggestions they may be incompatible and might chain-split, while others suggest they would be in consensus. We tried to speak to Jeff Garzik, the lead maintainer of the new segwit2x client, to gain some clarity on the relationship between segwit2x and Bitcoin Core, but have received no response at the time of writing. Segwit2x implements segwit largely unchanged, but there are suggestions after the activation the client may only accept segwit blocks, while Bitcoin Core would accept both segwit and non-segwit blocks, which may lead to a split. However, as some 90% of miners seem to be supporting segwit2x, it appears unlikely any miner would produce non-segwit blocks, so they would probably remain in consensus. On the bigger blocks side, there is Bitcoin Unlimited and BitcoinABC, which largely follows the approach of Bitcoin Unlimited but goes further in implementing a User Activated Hard-Fork that will chain-split regardless of miners support. There are indications some miners will support them, including ViaBTC and potentially the bitcoin.com mining pool which may give its miners the option of supporting the BitcoinABC chain. As such, we are likely to have at least two bitcoins on August the 1st, but there may be even more. Bitcoiners, therefore, are strongly advised to not transact on that day until the situation becomes more clear. Once the chain does split, BitcoinABC will probably be listed in at least one exchange, thus a period of high volatility and perhaps even trading frenzy should be expected as the market passes judgment on the value of the bitcoins. Eventually, the dust will likely settle with one coin probably gaining some 80% or so of the current bitcoin value, while the minority coin can continue operating in their own network, free to follow their own roadmap and vision. Which one will be which only the free market can tell us sometime next month as bitcoin finally makes a monumental and probably highly historical decision, at least for this space.